Function Held at P.L. Deshpande Hall ( earlier Ravindra Natya Mandir ) " He Milan Saubhagyache " Won the Best film of the Year 2011 Awards. The film is Directed By Subhash Gaikwad, Produced By Mohan Pimple. I was Asked to Give away Awards in the Music Category, Kaushal Inamdar Won the Best Music Director Award for " Bal Gandharv "
Labels: Milind Gawali gave away Music Award. 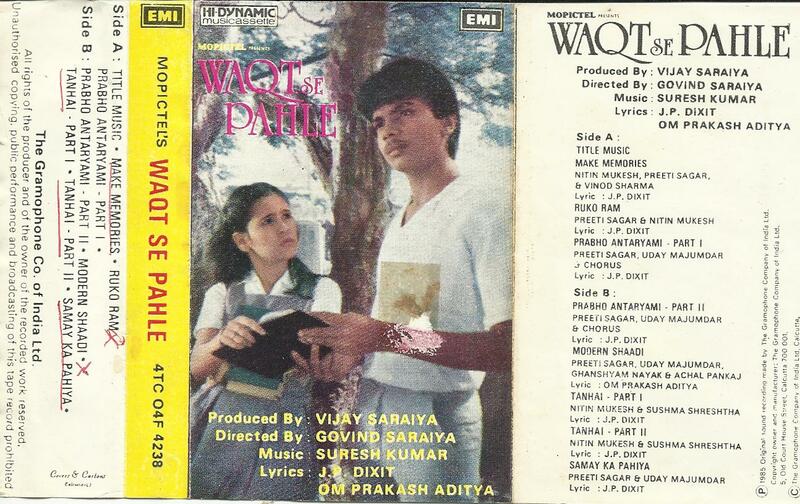 My Second Film " Waqt se Pahle " as child artist- Audio released in 1983-84. Nitin Mukesh sung for me ..